A wrapped porch with deck hugs this spectacular country dream home all the way around. Front and rear palladian windows as well as arched windows below let light flood this open plan. The family room with sloped ceiling gets added drama from an open curved balcony. A center-island kitchen opens to the family room, breakfast bay, and dining room. 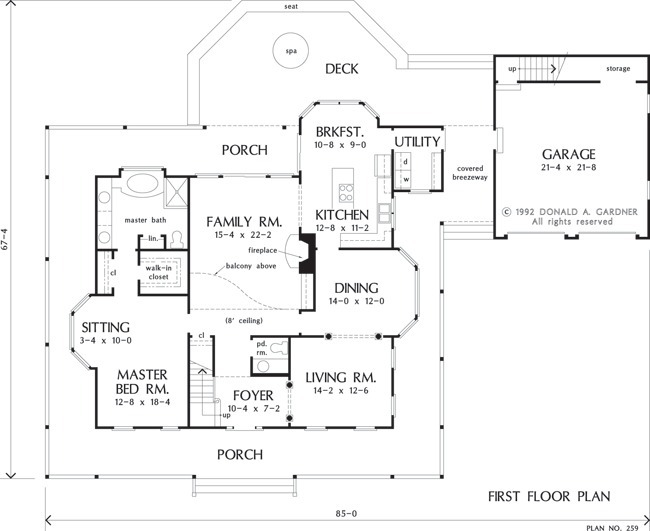 In this house plan, the first floor master suite contains its own special sitting area, ample closet space, and a luxurious bath. The bonus room provides growing families extra elbow room. 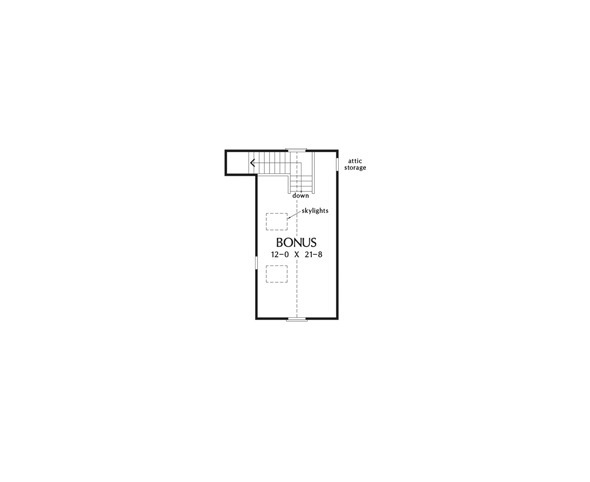 1st Floor: 1759 Sq. 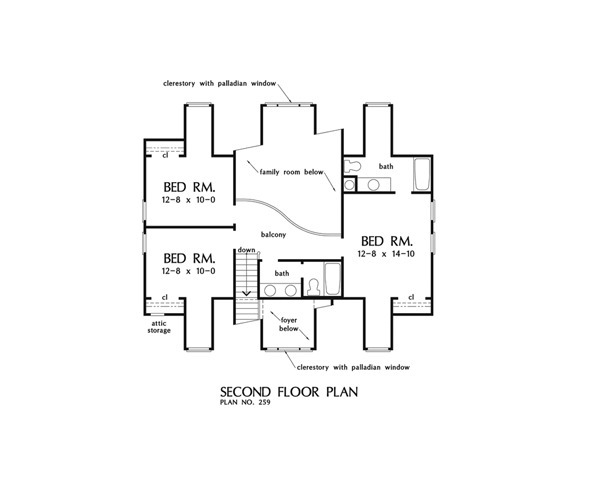 Ft.
House Dimensions: 85' 0" x 53' 0"
Great Room: 15' 4" x 22' 2"
Master Bedroom: 12' 8" x 18' 4"
Foyer (Vaulted): 10' 4" x 7' 2" x 18' 6"
Great Room (Vaulted): 15' 4" x 22' 2" x 24' 6"
Kitchen : 12' 8" x 11' 2" x 9' 0"
Breakfast Room : 10' 8" x 9' 0" x 9' 0"
Utility Room : 6' 8" x 8' 8" x 9' 0"
Bonus Room (Cathedral): 12' 0" x 21' 8" x 11' 6"
Garage Storage : 14' 10" x 3' 4" x 0' 0"
Master Bedroom : 12' 8" x 18' 4" x 9' 0"
Bedroom #4 : 12' 8" x 10' 0" x 8' 0"
Porch - Rear : 28' 8" x 7' 0" x 0' 0"
Porch - Left : 7' 0" x 49' 8" x 0' 0"
Porch - Right : 7' 0" x 40' 4" x 0' 0"
Deck / Patio : 43' 0" x 16' 8" x 0' 0"
Living Room : 14' 2" x 12' 6" x 9' 0"
Other : 3' 4" x 10' 0" x 9' 0"
Other #2 : 7' 0" x 14' 0" x 0' 0"